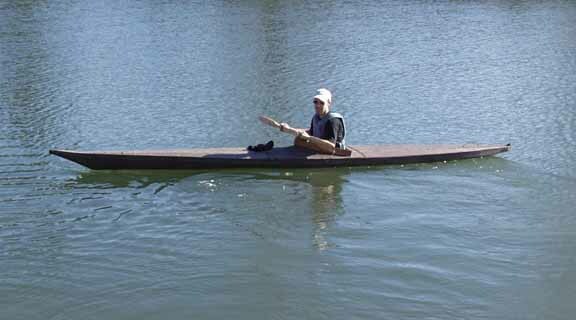 Not what most people think of when they hear "Greenland kayak," but nonetheless: From Greenland. 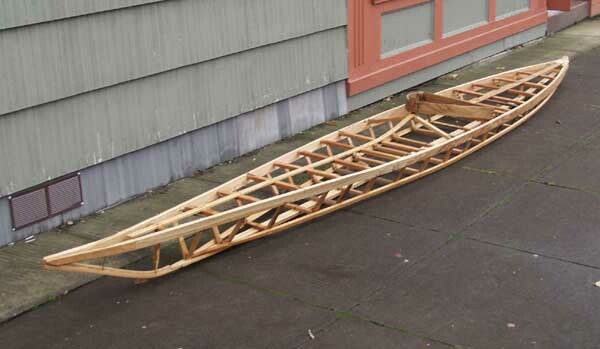 This is a replica of a Polar Greenland kayak from ca. 1909-- the original being in the collection of the Greenland National Museum in Nuuk. 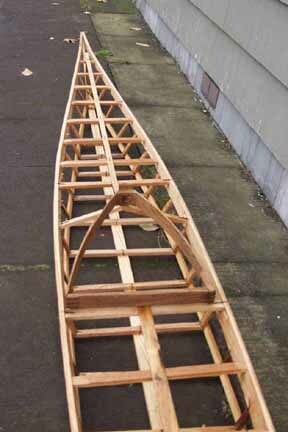 The frames are pieced-together instead of bent (Also note the coaming.) This kayak type bears a close resemblance to Baffin Island and other East Canadian kayaks, to which they are descendant. 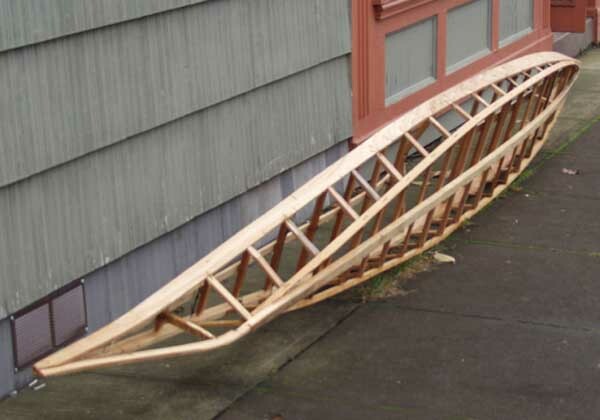 This example measures 16'5-1/8" long, and is 21-7/8" wide, and a depth to sheer of 6-3/4", overall being 10-1/8". The labour involved with piecing all the ribs together and lashing them was enormous. Steam-bending the ribs would've taken an hour, whereas this method must've taken me about 12 hours.